Secret Libraries of New York City – The New York Public Library has an incredible branch system around the boroughs, but it’s only a part of New York City’s literary resources. 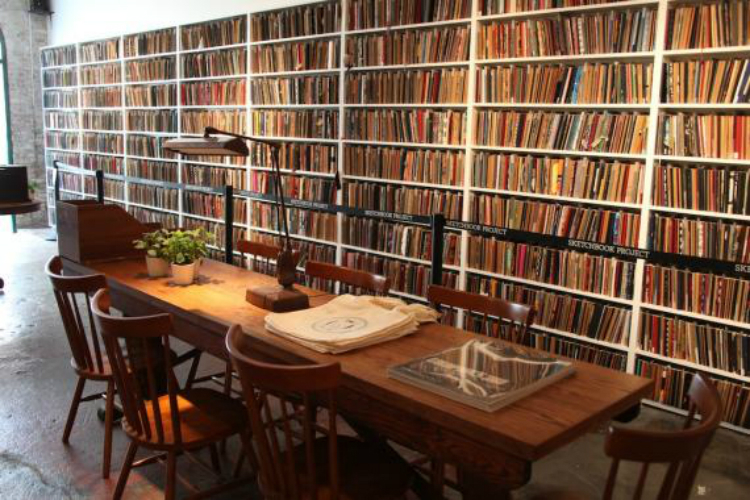 From private clubs, to nonprofit societies, to pop up places right out in the streets, here are some of secret libraries of the city. Started in 1785, the General Society of Mechanics and Tradesmen of the City of New York has over 10,000 volumes that focus on trade and technical material. But even if you aren’t looking to study up on your skills, the reading room in their 1820 home on 44th Street is a stunning space, where shelves of wood and iron climb up to a broad skylight. 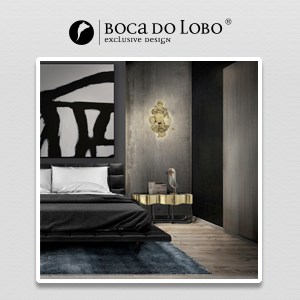 Be sure not to miss the incredible bank vault lock collection on the second floor. 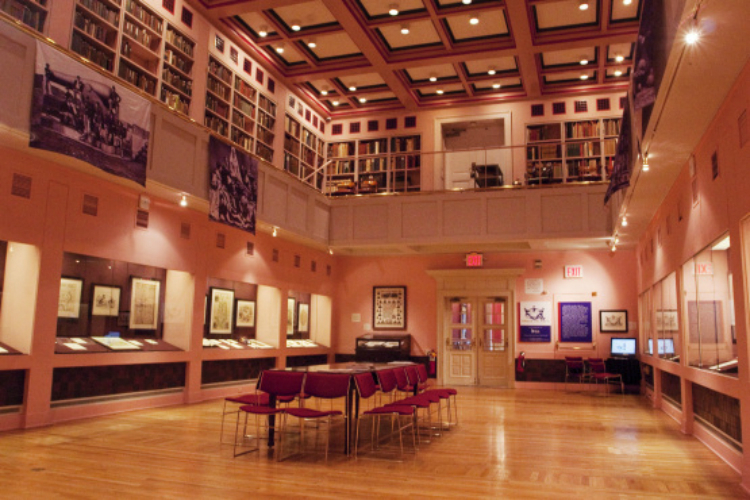 No bibliophile should spend time in New York City without visiting the Grolier Club. 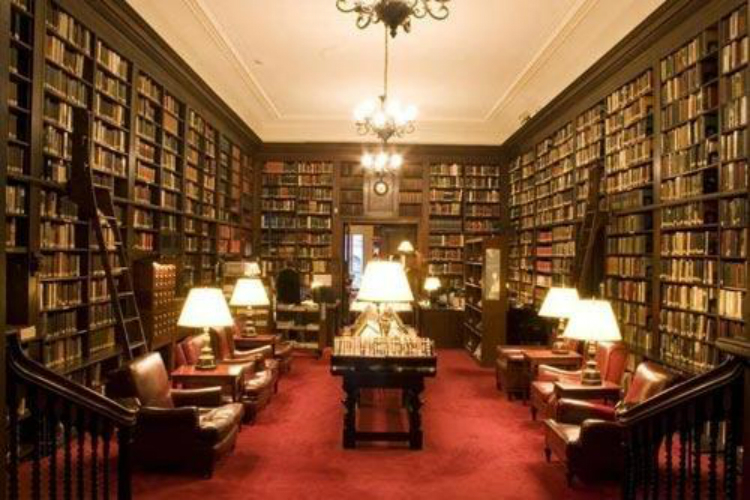 The private club on the Upper East Side started in 1884 and has a research library with tomes on all things book related, including book selling, bookbinding, the history of printing, and book auction catalogs. It also hosts public exhibitions in its elegant spaces, with recent exhibitions focusing on the history of representing microscopic objects in books, and Czech pop up art. With over 12,000 books and artifacts, the Conjuring Arts Research Center invites visitors to learn the tricks of the secret trade. Manuscripts of magic methods dating back to the 15th century are available in the small library on 30th Street, as are magic props and ephemera of illusions from around the world. Located inside the Grand Lodge of Free & Accepted Masons of the State of New York, the Chancellor Robert R. Livingston Masonic Library has one of the largest collections on Freemasonry in the world. 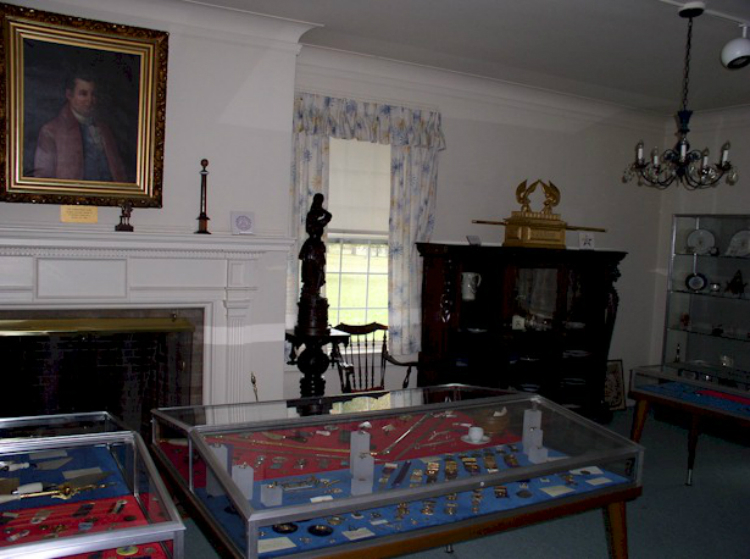 There are more than 60,000 volumes related to Masonic history, from its symbolism to biographies on its prominent members, and artifacts and other ephemera line the space in a very open secret society museum. 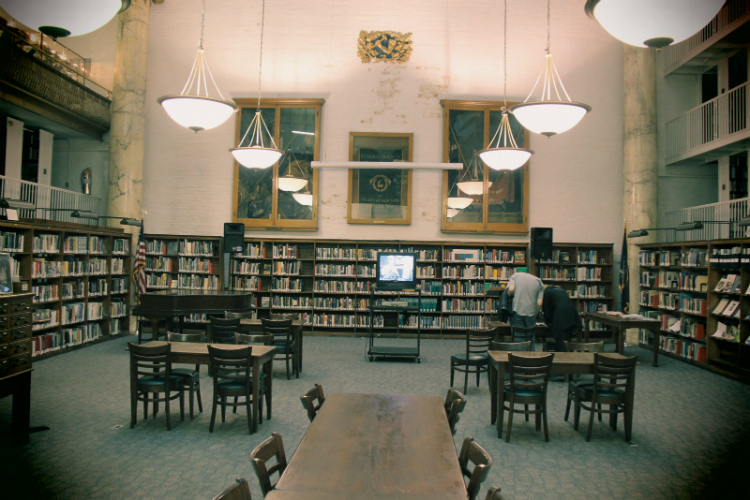 New York City’s oldest cultural institution may also be its most stately library. 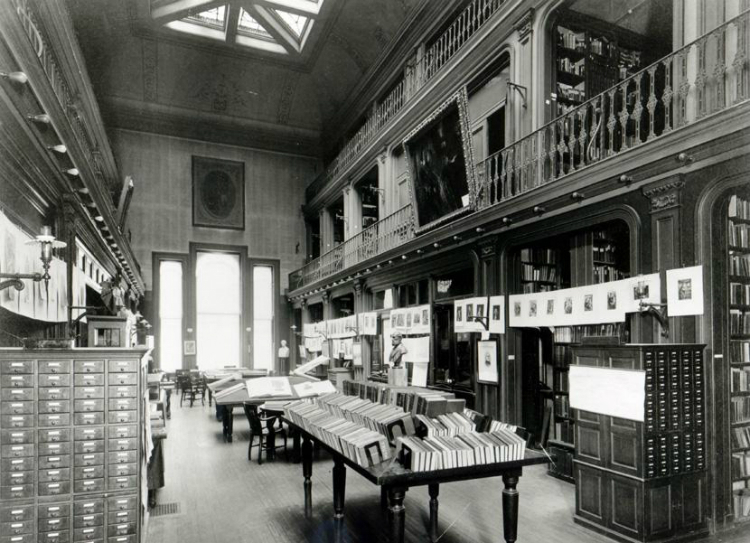 Started in 1754, the New York Society Library has a staggering 300,000 volumes, and adds another 4,000 annually. 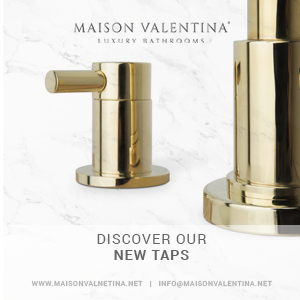 Only members can borrow or use its beautiful top floors, however. The only nonprofit organization in the United States dedicated to fiction is over on 47th Street. 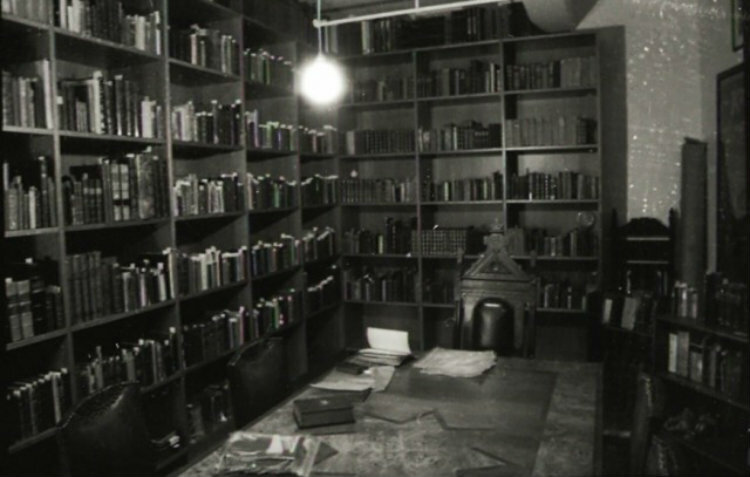 The Center for Fiction, with its roots in the Mercantile Library started in 1820, has a circulating collection of 85,000 volumes. The collections are rich in examples of mystery and detective fiction, and also include the books of the Marcel Proust Society. 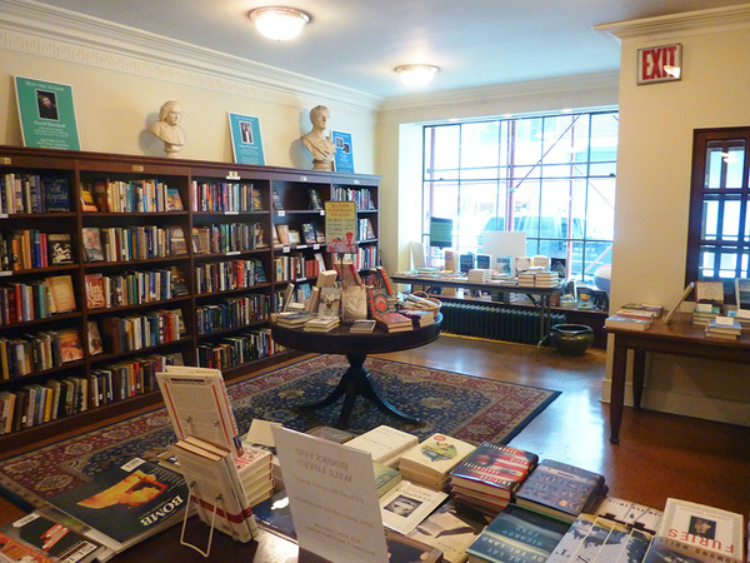 Only members can check out the books, but there are frequent public literary events. 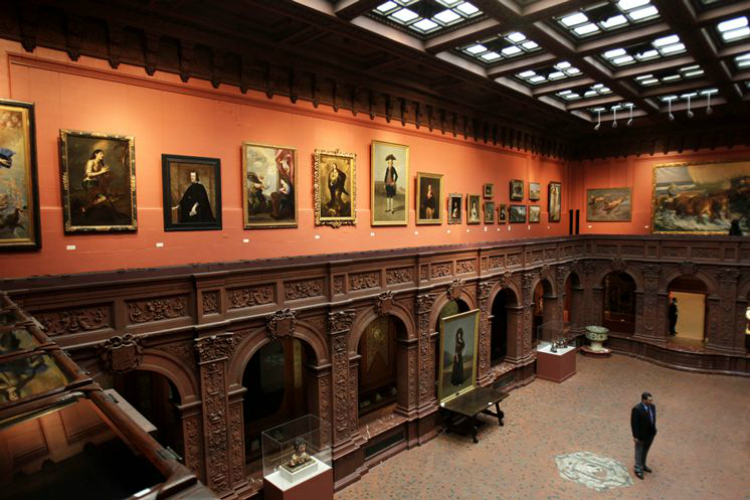 The Hispanic Society of America up at Audubon Terrace in Washington Heights is one of the city’s most beautiful overlooked museums, with its Spanish art holdings including work by El Greco, Goya, and Velázquez. Even more overlooked is its library. With over 15,000 books dating prior to 1700, it has one of the most significant collections of such rare editions outside of Spain. There are also sailing charts, medieval charters, illuminated books, and contemporary texts on Hispanic culture, history, and geography. Up on the second floor of the McKim, Mead, & White-designed Harvard Club is a beautiful library with over 30,000 books. 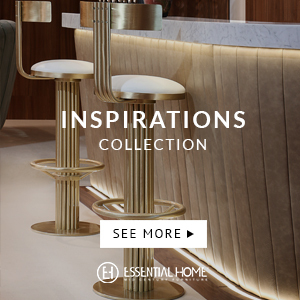 It’s only available to members and their guests, and you have to heed the dress code, so if you get in, just bask in the exclusive glory of this Midtown reading space and consider yourself privileged. All things plants are the focus of the Horticutural Society of New York. 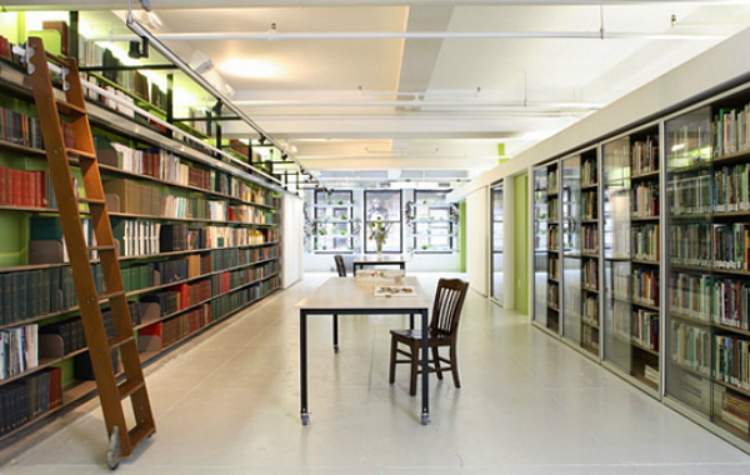 The Midtown space also includes the Barbara A. Margolis Library with over 12,000 books on gardening, botanical illustrations, American landscape history, and American agriculture going back to the 19th century. Anyone can peruse, although borrowing is just for “Hort members.” It’s also worth a visit for the exhibitions out in the main space, with the current show celebrating the mushroom obsessions of composer John Cage. 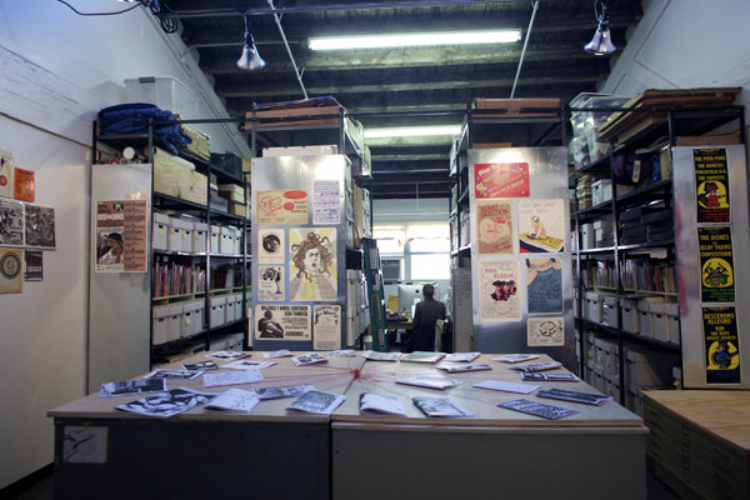 Opened in December of 2011, the Interference Archive in Gowanus is a small, but dense, library of activism history. The resource is run by volunteers and is heavy on the activist and punk rock movements of the 1980s and 90s, but on the shelves are zines, posters, books, protest ephemera, and audio and visual material from around the world. 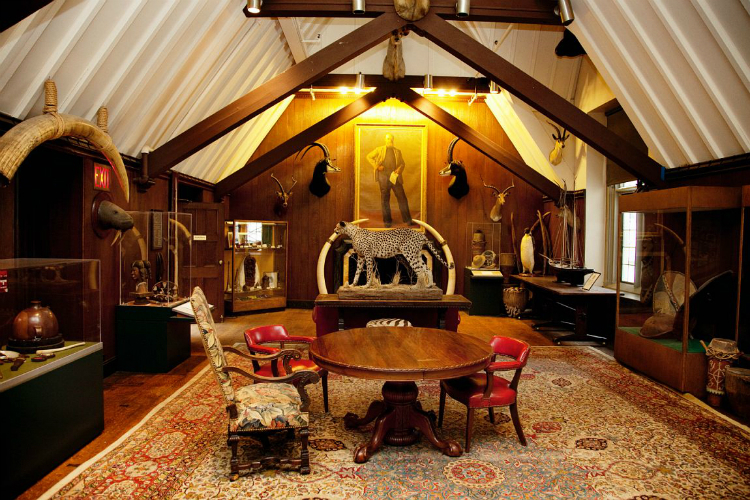 Along with its taxidermy polar bear and other beasts and relics of expeditions, the Explorers Club on the Upper East Side has a library. 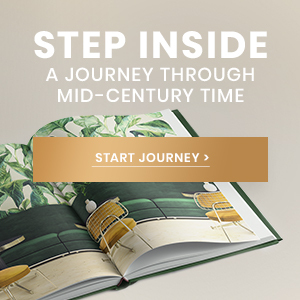 It is, as you may guess, all about exploration, with over 13,000 volumes and 5,000 maps. Their archives also have photographs and newspaper clippings all related to exploration from the Arctic to the Amazon. 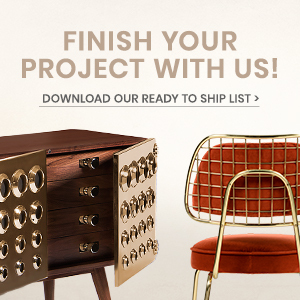 Anyone can have a book in the Brooklyn Art Library if they participate in the Sketchbook Project. The Williamsburg library is the home of the collaborative initiative, where artists and amateurs can create their own books around different themes. These volumes are then available to be checked out in the library with a free library card. 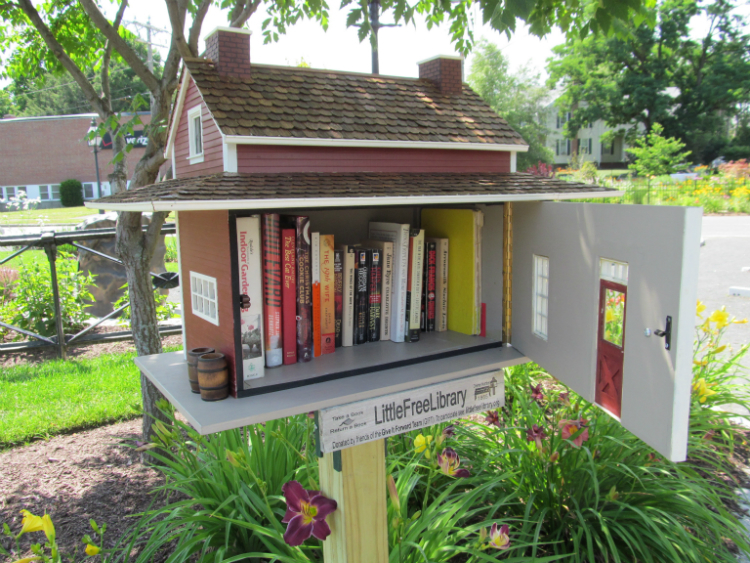 The Little Free Library has no permanent collection or card catalogues, you just have to keep an eye out for its little DIY shelves. The project started in 2009 and now has thousands of stations around the world, where anyone can take or leave a book. They range from a simple box to more elaborate designs, like one patrons can walk inside designed by Stereotank outside St. Patrick’s Old Cathedral School on Prince Street.